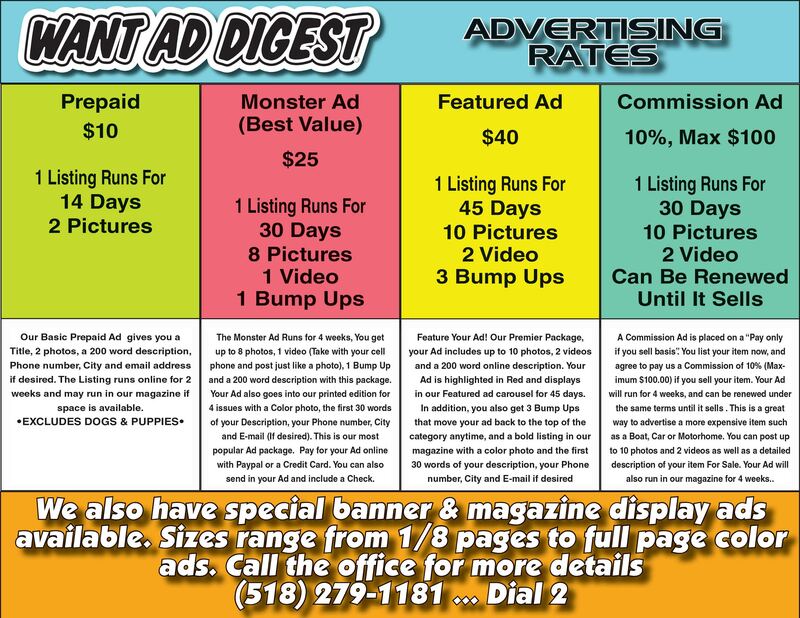 The following price grid lists the basic cost of placing a private party Ad in the Want Ad Digest. *There may be additional upgrades, discounts or packages available in certain categories which can be found under "select a plan" when you press place an Ad and select a Category. *During certain times of the year the Want Ad will offer free Ad specials in assorted Categories. Notice of these specials will be found at the top of the Categories.